On Thursday, June 21, representatives of the Indiana Region and NCCC were invited to the recently formed Corvette Lovers of Owensboro Corvette Club meeting. 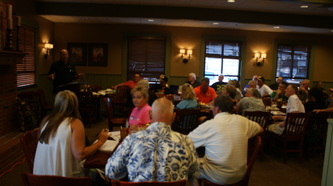 The club formed in December of 2011 and already has over 50 members as of the June meeting. Their monthly meetings are held at Old Hickory Pit Bar-B-Q at 338 Washington Av. in Owensboro, KY, with dinner at 6:00 and business meeting at 7:00. Attending the meeting from the Indiana Region were Regional Executive Jim Walton and Webmaster Bill Lapham with the NCCC represented by Parliamentarian Kevin Milton, who is also a member of Tri-State Corvette Club in nearby Newburg, IN. 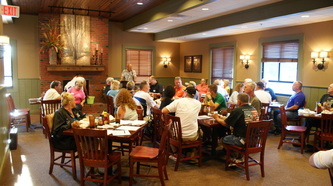 The meeting was an opportunity for Jim to explain how the NCCC insurance works and discuss general reasons for having the club join the NCCC group of clubs through the Indiana Region, which also includes the Western Kentucky area. The club members had several questions answered and are in the process of further discussions about making their application to NCCC. The hospitality was great and we want to thank Club President Charlie Payne, VP Charlie Mattingly and the rest of the officers for inviting us to their meeting. 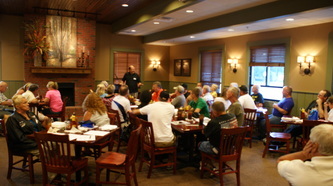 We in the Indiana Region hope to be welcoming this new club into the region in the September time frame.